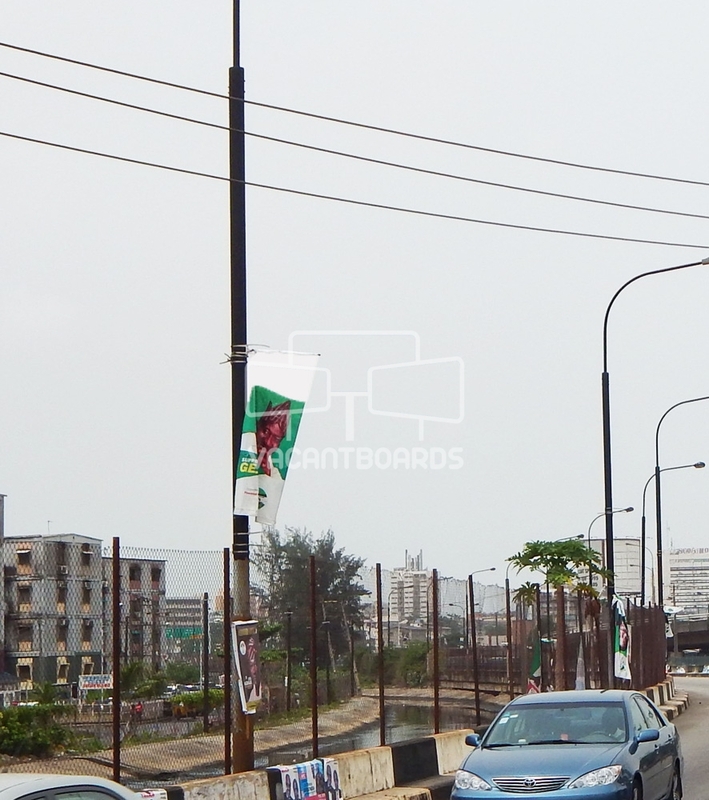 The uniqueness of this particular lamp post advertisement is located along Obalende Inter-link Osborne. Its distinct features guarantee advertisers of an unending exhibition of companies brands of products and services as audiences ply this busy route. Advert messages on this lamp post is displayed in visible columns, therefore it is impossible for patrons to over-look . The uniqueness of this particular lamp post advertisement is located along Obalende Inter-link Osborne. Its distinct features guarantee advertisers of an unending exhibition of companies brands of products and services as audiences ply this busy route. Advert messages on this lamp post is displayed in visible columns, therefore it is impossible for patrons to over-look.